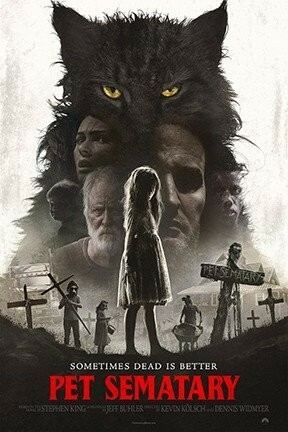 Pet Sematary is not often counted among King's most beloved works, but it’s maybe the most respected. It’s one of his simplest narratives, with two straightforward morals: Grief can make you a monster if you let it, and monsters will beget more monsters if good intentions aren’t backed by good actions. What happens if you try adapting that book to film, but without any of its empathy and interiority? Of course it’s possible to seriously, thoughtfully tackle those themes head-on in this era and deliver the sort of meaningful, resonant dread King’s novel evokes. But that movie is called Hereditary, not Pet Sematary, and if you’re hoping to see a film that channels the potency of the book, you’re not going to find it here.